We started a community contributed section in our marketplace and in our community site a while back. Since then, we have been exploring ways to allow the developer community to develop Joget apps or plugins that can be shared to the rest of the Joget community either commercially or as free to use. The e-book, "Easy Joget v3 for Absolute Beginner" contributed by Madeng, has been downloaded/viewed more than 9,000 times. Followed by "Liferay Directory Manager Plugin 1.0", which garnered 60 downloads and "Protected Text Field Form Plugin v1.0" with 47 downloads. Check out the latest contributions, a very useful Property Hash Variable Plugin that allows users to retrieve a property value from any properties file placed in the "wflow" folder; and the Google Apps Directory Manager Plugin, that allows Google Apps users to integrate with Joget Workflow. When v3 was first released in 2012, it made process and database driven application development amazingly fast and easy for programmers and analysts alike. Ever since the release of v3, we have been looking for ways to further speed up the development of apps that are supported automatically on mobile devices. So, in v4 we added the App Generator. It would allow anyone to very quickly get their ideas to a proof-of-concept or a minimum viable product stage in 10 minutes or less! This first quarter of 2014 has been an extremely exciting start to the year. All the months of hard work have led us to this point! The first week of April sees us releasing and launching Joget Workflow v4 and just a couple of days ago, we quietly released Joget Workflow On-Demand. So, what is Joget Workflow On-Demand? Joget Workflow On-Demand is a subscription based service that offers Joget Workflow Enterprise Edition to small businesses on the Cloud. It is an application platform as a service (aPaaS) that allows users to create their own workflow apps or database driven apps with or without programming knowledge. Alternatively, they can make use of the ready made simple apps such as employee self service portal, expenses, invoicing, etc. for their own use, or as template to build new ones. What are the Benefits of subscribing to Joget Workflow On-Demand? Here are some of the benefits that can immediately be realized. It's here! 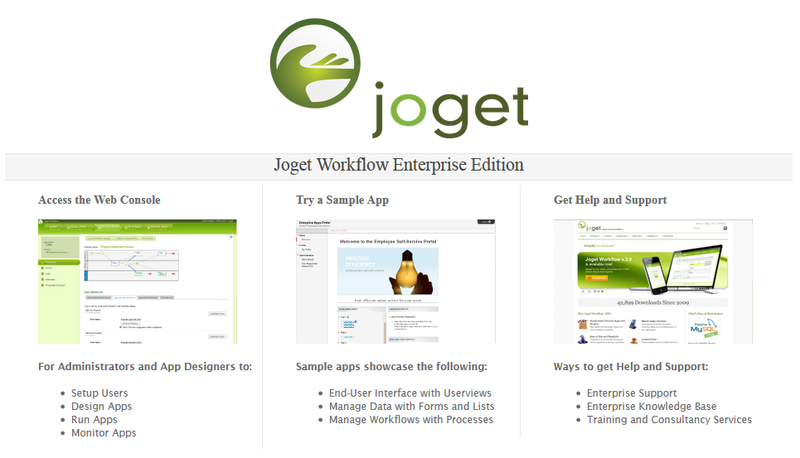 We're pleased to announce that the stable version of Joget Workflow v4 (4.0.2) is now released. 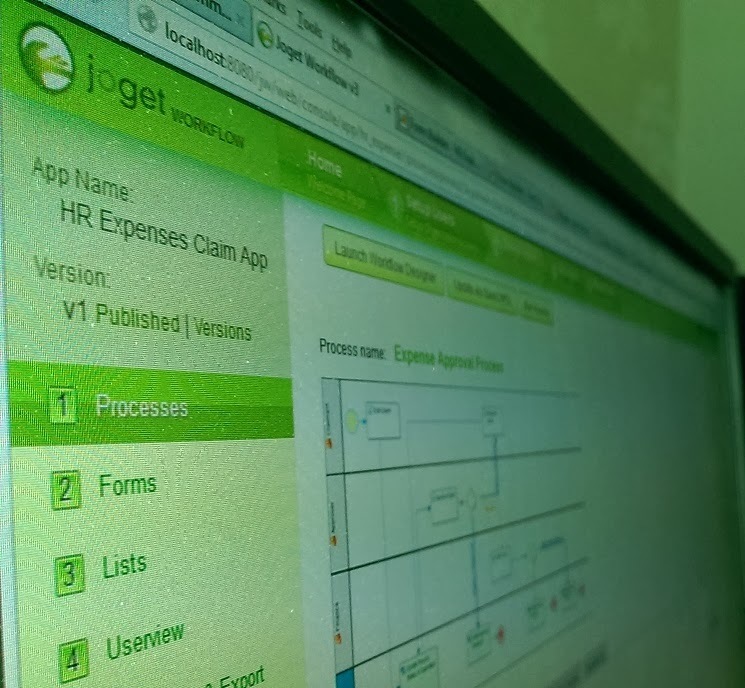 Joget Workflow is an open source platform to easily build enterprise web apps for cloud and mobile. Build full-fledged apps e.g. CRM, HR, Healthcare, etcDrag and drop forms, lists, UIAdd workflow to automate processesExtend via pluginsApps are mobile optimized and cloud readyDownload ready made apps from the Joget MarketplaceAs an application platform, Joget Workflow v4 is a notable enhancement on previous versions. There is much greater emphasis on usability, mobility and security. On July 14, 2011, Gartner published a press release that "Citizen developers will be building at least a quarter of new business applications by 2014...". This article has brought renewed interest in end-user application development which had been propositioned as early as the 1980s, if not earlier. 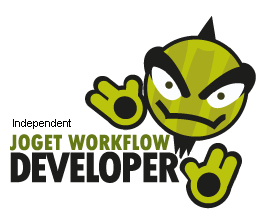 Joget Workflow as a workflow management software has come a long way since Nov 2009. Version 1 and 2 were developed and positioned as a BPM workflow management system to design, deploy and run workflows for business processes with the workflow engine as the core. After almost two years of trying to find a market fit, we discovered that our customers were using Joget Workflow to automate their processes and then building web applications around those workflows. A process-driven application if you will! That realization made us rethink our product strategy. Why not provide a platform that allowed the users to develop web applications and at the same time provide them with the capability to automate any processes they need? It should be designed to be simple and easy to use with little or no coding! Since our first release of v4 last May, we have been getting a lot of feedback from potential new and existing customers who are currently using v3 stable. We are officially making a second Beta release today. This is a highly anticipated release for those who are evaluating Joget v4 in particular. 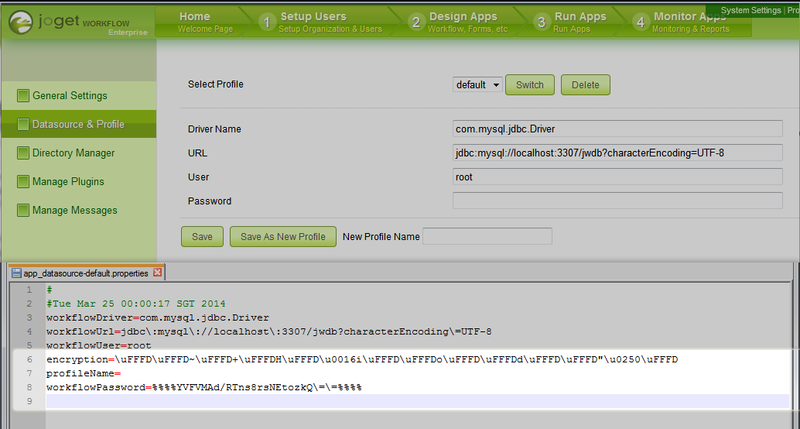 Joget v4 Beta 2 would feature vast security related improvements and all round improvements on most of its features. - Secured Process Start White List by default for newly deployed processes. This release contains stability and performance improvements, and is a strongly recommended upgrade for high usage installations, especially for users running 3.1.1 and below. These are some of the notable changes since the 3.1.1 version. 4 months after the release of Joget 3.1.1, our team have continue working round the clock in the aspects of stability, robustness and security, we are delighted to announce the general availability of Joget 3.1.3. We took the extra time and efforts in polishing the product to become much more stable and solid in delivering the performance that one would expect from the Joget team. 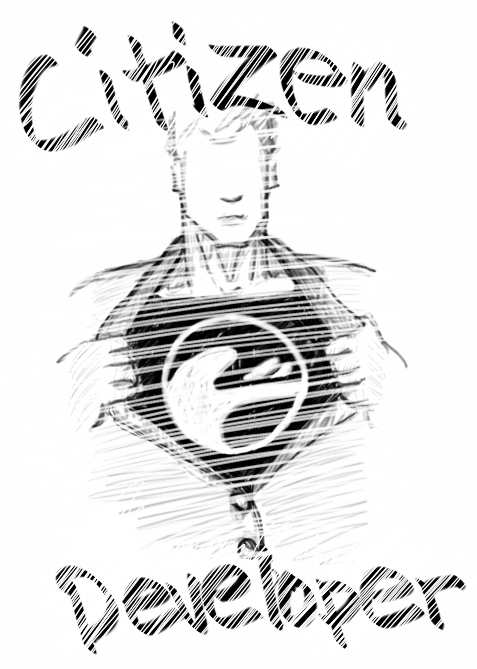 Although from the front-end, it is not exactly noticeable in terms of features Joget has to offer, in the back-end, we have performed a series of tweaks to make things runs smoother. Effectively from Joget 3.1.0 onwards, we have added in "Data Priority" option to the Hidden Field to cater to more use cases on the handling of data. Data Priority determines on which value to be taken into consideration. There are 3 options with their own data precedence to cater to different use cases. This would mean that we are replacing a very simplistic option available in prior version of Joget as depicted above.